How do I connect a video balun to a power supply box? 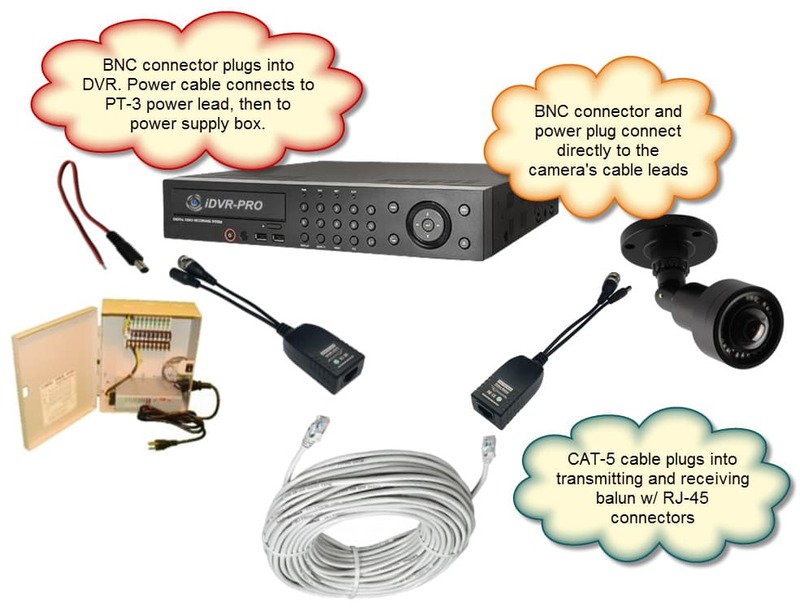 Home > CCTV Security Camera & Video Surveillance System Forums > HD-over-Coax Security Cameras > How do I connect a video balun to a power supply box? This topic contains 0 replies, has 1 voice, and was last updated by James Haldas 2 weeks, 1 day ago. We recently had a customer call in and ask the below questions regarding our HD Video baluns that support HD-TVI, CVI and AHD cameras + they are backwards compatible with CVBS type cameras. 1. Which balun do I need to run video and power to my HD-TVI camera? 2. How do I connect a video balun to my power supply box? This diagram how to wire VB-HD5P video baluns when a multi-camera power supply box is used instead of an individual power supply for the camera. The installer attaches a 2.1mm PT-3 power lead to the balun, then attaches the wires directly to the power supply box with its screw terminals. This topic was modified 2 weeks, 1 day ago by James Haldas.